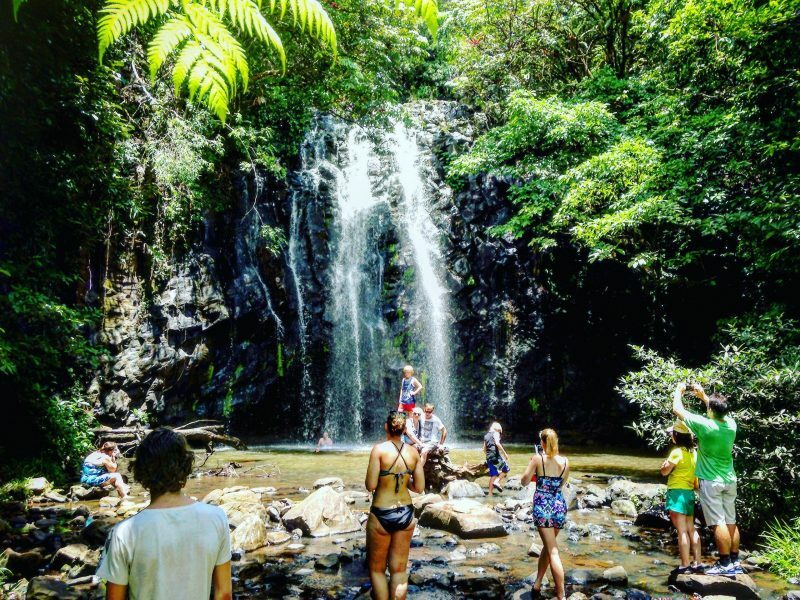 The best small group and private day tours from Cairns, travelling to scenic World Heritage listed rainforest, waterfalls and more. Tablelands Tours are your experts in Tropical North Queensland. They tailor tour packages for both groups and families. 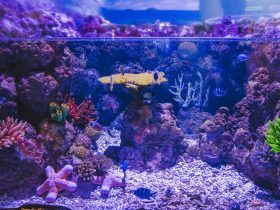 Their expert local knowledge of the Cairns coastal fringe, the awe inspiring beauty and diversity of the Tropical Atherton Tablelands region, gives them a trustworthy name. Their customised private or organised tours can be catered for any group size, they can easily package a customised tour that combines what you want to do at your pace and budget. Or you can join them on one of their eight organised group tours. Each team member has an unrivalled enthusiasm, passion and pride about their job and this is evident when it comes to showing off their backyard paradise. If you want to see extinct volcanic crater lakes, giant species of trees, rare and endangered native wildlife, combined with fun and adventure then their tours will not disappoint. Finally their fully registered guides never bore guests with an overload of facts or scripted opinions and the best thing about them is that their tours are never rushed, “ever”. 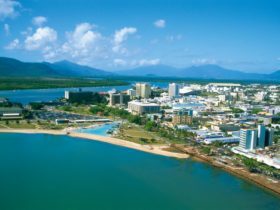 This all weather tour includes the view from Kuranda lookout from the heights of the temperate rainforest lookout over Trinity Bay, Yorkeys Knob Cairns, and the Great Barrier Reef National Park. Visit the famous, world renowned Barron Falls, a spectacle on any day in itself, even if the falls are not in flood. Then maybe a Devonshire morning tea included at one of their famous historical cafes. Then comes the highlight of your day – a fully guided tour of the Historical pioneer village of Herberton, plus an old fashioned cooked lunch. After lunch feel free to take in some of your favourite attractions at the village. Included in the tour package is a ride on the Tinlander train, the Herberton railway station and the Herberton Mining museum, you can also try your luck at tin mining. Now it’s time to return home via the scenic Herberton Ranges along the highway to Mount Hypipamee and the ancient crater formed thousands of years ago. 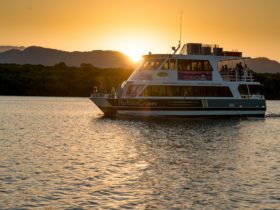 In the late afternoon it’s time to enjoy the sunset as you wind your way gently down through the steaming rainforests of the scenic Gillies or Kuranda ranges towards Cairns. 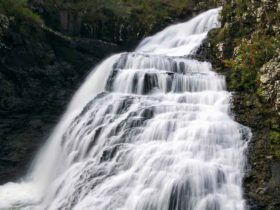 Visit up to seven of the best waterfalls on the Tablelands! This is one of their most popular private tours, especially during the wet season (December to April) when the waterfalls are at their best. However there are still plenty of spectacular waterfalls that flow all year round surrounded by incredibly scenic country, that you simply cannot ignore. You will be supplied with morning tea, fresh bottled water, and a local home cooked lunch, that has never disappointed yet, at one of their well-renowned local cafes or restaurants for a hearty lunch. Fitness Level: You will be negotiating a few bush tracks and paths that require a low/medium level of fitness, but none of the activities will be too strenuous. Inclusions: All park entry fees, bottled water, morning tea and lunch (excluding alcoholic beverages), air-conditioned comfort, expert commentary from a local, and best of all, they never rush their day, so there is plenty of time for photos and a swim or two. See unique World Heritage Rainforest with native flora and fauna. Come and visit some of the most unique world heritage rainforests in the world. This tour offers all the sights and sounds in an educational experience like no other. Be sure your camera cards are empty, because they will definitely be full by the time you return home. Lots of slow walking and stalking along rainforest paths. Experience and photograph a great range of native tropical fauna and flora in their natural environment, including the elusive Southern Cassowary and Platypus. Breathe in the fresh mountain air, refresh with a quick swim or soak up the spray from one of the many waterfalls you’ll visit. 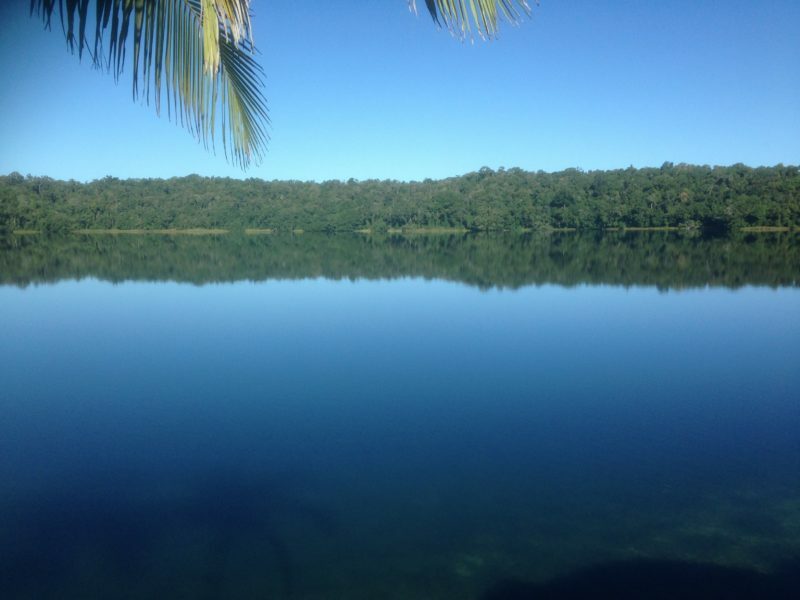 You will be blown away by the timeless beauty of the wet tropical coastal and Tableland rainforest and all this natural paradise has to offer. Note: This tour requires all participants to have slightly above average fitness. You will need to be able to negotiate tracks, trails and pathways with slightly steep and uneven terrain. Some paths also have exposed tree roots and loose stones. Guess what? You can create your own five star tropical tour according to your individual or group needs and budget. Phone the operator and tell them what you really want to see and do: sightseeing and coffee, visit a working farm, hot air ballooning, Skyrail, leisurely shopping in a Tableland’s town, bushwalks in the rainforest or the outback, swimming under waterfalls, camping under the stars or relaxing in five star accommodation in Cairns or on the Tablelands in the rainforest. 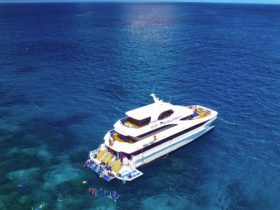 Even a day trip to the reef or any combination of the above, you choose over one day or a whole week. As with all tours, they offer return shuttles from your accommodation in Cairns. It is all about you. Tablelands Tours will work closely with you to build the tour to suit your likings and your budget with absolutely no hidden costs. You will receive even better value if you plan your tour for a family or a group. Departure times will also be at your convenience. 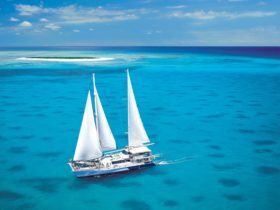 So whatever you wish to see and do in Tropical North Queensland, leave it with them, as there really is no one else to see for five star tailored customised touring. An ideal land based tour for cruise ship passengers. Leaving Cairns, sail above World Heritage Tropical rainforest on the amazing Kuranda Skyrail. Barron Falls Station, tour through 165 acre private tropical oasis. Taste rare bush foods, exotic tropical fruits. Witness contrasting changes in the landscape as you drive towards the Savannah Region and dine on fine cuisine for lunch, in the middle of 85,000 Arabica Coffee plantation. Visit Granite Gorge. Here you will be able to observe and photograph up close rare Mareeba rock wallabies, endemic to this area alone, providing the perfect image of Australian outback culture. Now it’s time to explore the Golden Drop Mango Winery. Here you can sample and purchase your choice of lovely refreshing tropical Mango Wines, Citrus Cellos, Mango Port and Golden Mango liqueur style wines. Finally they take the inland road back down towards Port Douglas, via the small outback timber town of Mt Molloy. Watch the landscape turn from savannah back to rainforest in just 30 minutes as they wind their way back to the coastal fringe and the heritage listed coastal drive towards Cairns. 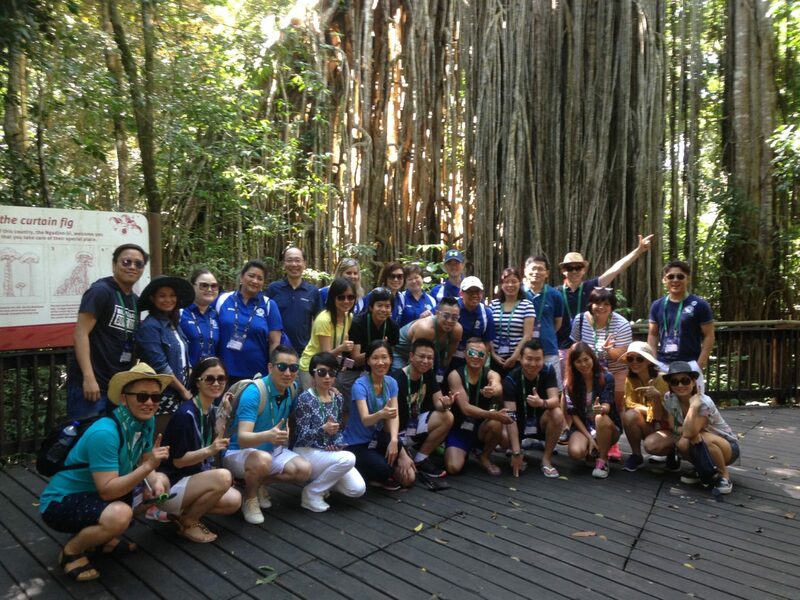 Will you would find this diversity and value for money on any other tour in Cairns? Where can you find a tour at this price, of this quality that visits two world heritage listed sites in the one day? 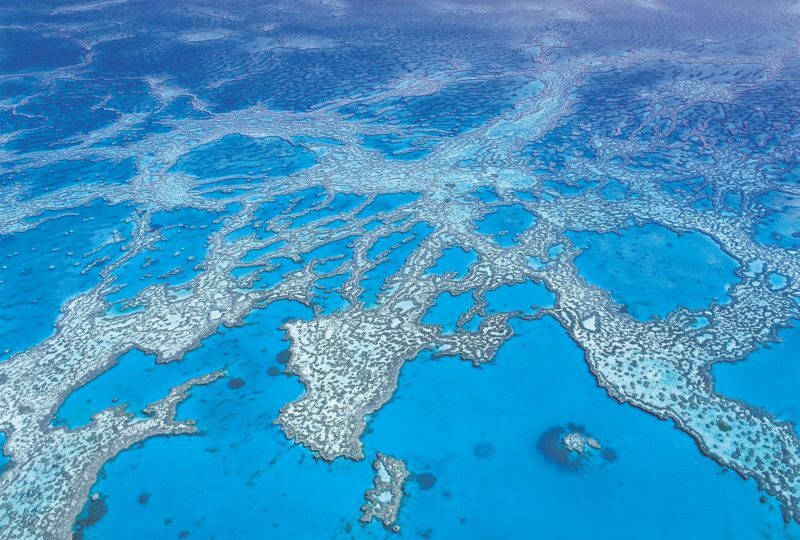 In this fully inclusive VIP tour, not only do you get to photograph the vivid colours of the Great Barrier Reef as you fly above the reef in a specially designed aircraft made for sightseeing and photography. You also get to travel over the tropical lush mountain ranges to the Atherton Tablelands agricultural farm lands, food and wine areas, plus the oldest living world heritage listed rainforests in the world. See giant trees thousands of years old, along with cassowary, platypus, tree kangaroo and so much more. Your tour includes all admissions expert guiding, VIP lunch at your requested diet, and chilled bottled water. In the afternoon as you make your way back down from the Tablelands, you will take advantage of the colours and contrasting shading of the mountain ranges before you are delivered back to your hotel in Cairns feeling more than satisfied with your day and the value for money.